A research breakthrough in Canberra may lead to faster, lighter and cheaper computers within 15 years. A team of researchers at the Australian National University Research School of Physics and Engineering have made the first room-temperature lasers from nanowires. PhD student Dhruv Saxena says laser technology is not used in electronics currently on the market. “The wires and lasers will lead to much faster, much lighter computers because light travels much faster than electrons, allowing us to process data much faster,” he said. Mr Saxena says it is a hot topic that has been widely researched over the past decade. “The field is moving very fast and this is a global issue because making computers smaller and smaller is not going to work,” he said. The nanowires are only several billionths of a metre in diameter and are less bulky than existing electric technology. Australian Research Council Super Science Fellow Sudha Mokkapati says the wires are “grown” in the lab. “We have a substrate covered in gold particles which acts as catalysts or seeds,” she said. At those extremely high temperatures, the elements react and nanowires start growing. “The ends of the nanowire are like tiny mirrors that bounce light back and forth along the wire and the gallium arsenide amplifies it,” Ms Mokkapati said. June 16, 2016 - World's most efficient nanowire lasers Science DailyResearchers demonstrated that nanowires made from lead halide perovskite are the most efficient nanowire lasers known..
February 19, 2019 - Dose of vitamin C helps gold nanowires grow Phys.orgA boost of vitamin C helped Rice University scientists turn small gold nanorods into fine gold nanowires. August 4, 2018 - Light Computing: Nanowire-Based System Allows For Fully Optical Binary Functions Evolving ScienceElectronic circuitry powered by transistors is a common, effective and popular form of binary computing. July 13, 2018 - Room temperature in-plane ferroelectricity in van der Waals In2Se3 Science AdvancesVan der Waals (vdW) assembly of layered materials is a promising paradigm for creating electronic and optoelectronic devices with novel properties. December 16, 2016 - Laser Diodes: AlGaN nanowire laser diode emits at 239 nm Laser Focus WorldOver the years, the short-wavelength limit of laser diodes has moved from the red end of the visible spectrum to the near-UV. July 14, 2017 - Dual-color single-mode lasing in axially coupled organic nanowire resonators Science AdvancesMiniaturized lasers with multicolor output and high spectral purity are of crucial importance for yielding more compact and more versatile photonic devices. July 25, 2018 - Perovskite Nanowires Yield Efficient, Tunable Lasers Photonics.comA “freshman-chemistry-level” technique for growing nanowires produces tunable lasers that are nearly 100 percent efficient. With low. August 28, 2013 - Quantum effects in nanowires at room temperature Phys.OrgNano technologists at the University of Twente research institute MESA+ have, for the first time, demonstrated quantum effects in tiny nanowires of iridium atoms. March 8, 2019 - Enantioselective fragmentation of an achiral molecule in a strong laser field Science AdvancesChirality is omnipresent in living nature. On the single molecule level, the response of a chiral species to a chiral probe depends on their respective handedness. December 27, 2017 - Researchers develop highly sensitive gas sensors Phys.OrgA team from the Faculty of Physics of Lomonosov Moscow State University has suggested using porous silicon nanowire arrays in highly sensitive gas sensors. March 14, 2019 - Exotic 'second sound' phenomenon observed in pencil lead NanowerkAt relatively balmy temperatures, heat behaves like sound when moving through graphite, study reports. July 29, 2017 - Single molecular layer and thin silicon beam enable nanolaser operation at room temperature Phys.orgFor the first time, researchers have built a nanolaser that uses only a single molecular layer, placed on a thin silicon beam, which operates at room temperature. April 30, 2018 - The Latest Advancements in Laser Technologies Novus Light Technologies TodaySome of the latest advances include the all-silicon laser, a holmium doped laser on a silicon photonics platform and a flying microlaser. June 26, 2018 - German Nuclear Fusion Experiment Sets Records Popular MechanicsThe stellarator was largely replaced by the tokamak in the 1960s, but Germany's Wendelstein 7-X could be bringing the reactor back from the dead. May 19, 2017 - IBM scientists demonstrate ballistic nanowire connections, a potential future key component for quantum computing Phys.orgIBM scientists have achieved an important milestone toward creating sophisticated quantum devices that could become a key component of quantum computers. October 15, 2018 - TwoCure: A new dimension in resin-based 3D printing Novus Light Technologies TodayBy melting at room temperature, the additively manufactured plastic components are released from the frozen blocks. June 2, 2018 - Photonics—a fundamental enabler for the Internet of Things Laser Focus WorldAccording to Wikipedia, the Internet of Things (IoT) is the 'inter-networking of physical devices, vehicles (also referred to as 'connected devices' and. March 21, 2018 - World's First Room Temperature Maser Using Diamond Developed Photonics OnlineThe world's first continuous room-temperature solid-state maser has been developed by UCL and Imperial College London scientists. 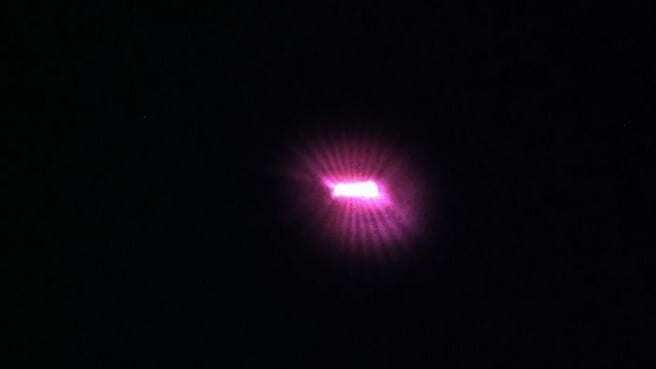 October 29, 2014 - Moving Objects With A Single Laser Asian Scientist MagazineScientists have designed a tractor beam that can move particles up to 20cm, 100 times further than in previous experiments. September 29, 2014 - Physicists create lasers that switch on and off at world record speed | Imperial News Imperial College LondonNEED FOR SPEED - Scientists have designed a record-breaking laser that accelerates the interaction between light and matter by ten times.